A simple and fun pair of studs for everyones collection starts here. Beautiful and unique, shimmery, earrings feature a bright, avocado green, red, purple, pale pink or blue color, with gorgeous internal shimmer and layered gold foil flecks! They are 12mm and mounted on pure titanium posts, the pad is surgical stainless steel and the ear nut is plastic, so everything is hypo allergenic! This pair is easy on the ears! You can feel them, but they are not bothersome. They are incredibly durable, double checked for strength and made with extra love! 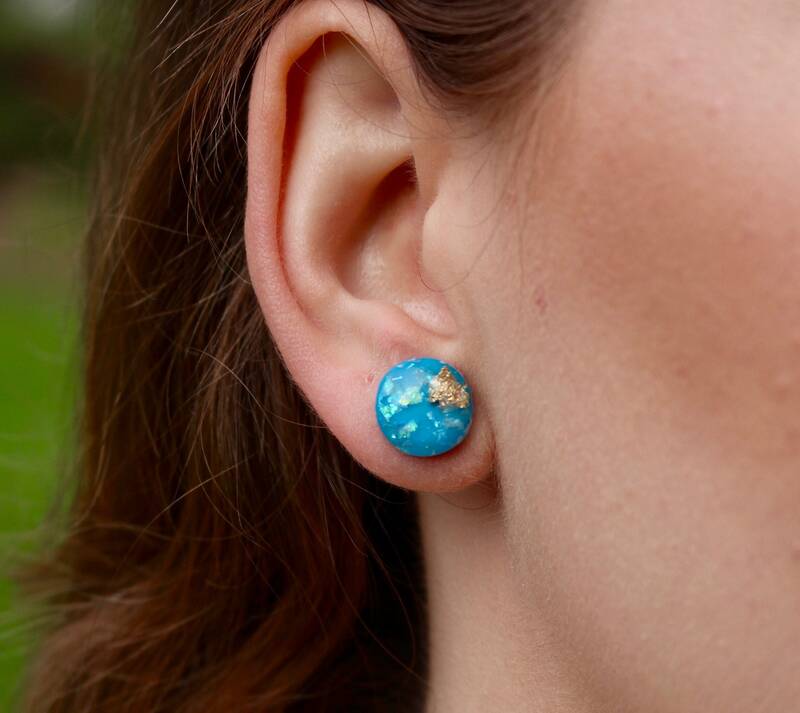 They are sure to get your lobes noticed! Try them on today and let us know what you think! Leave a review, share a pic and tag us on social media!